​﻿Wendy is overjoyed to be back again after her great Arts Trail experiences. Since 2016 she has had so much fun meeting the Art Trailers and sharing her passion for flax weaving. Wendy is a forager by nature and loves to discover traditional uses of natural resources. After moving to Whangarei in 2006 from overseas she caught the weaving bug in 2010 and attends wananga at marae all over the country. "Achieving a Diploma in the Maori Art of Whakairo (carving & design) in 2016 and following my passion for raranga (weaving) deeply connects me to New Zealand” says Wendy. "I love working with NZ natural resources and have learned to greatly enjoy gathering and preparing them, using both traditional and contemporary techniques". She grows her own special weaving flax in a sprayfree, organic flax pa (plantation) in Whangarei. Processing is all done by hand, strips are softened using Pounamu (NZ greenstone), then hot boiled and sometimes coloured with commercial dyes. 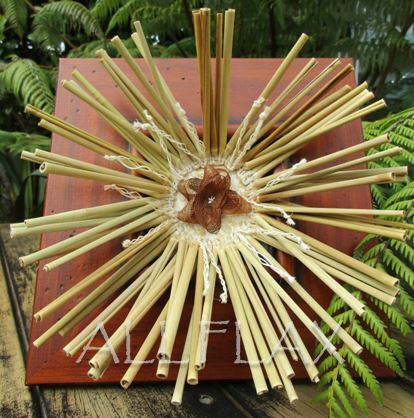 "I particularly love the laborious extraction of muka (the pure white silky flax fibre), using a Kutai (mussell shell), you can come and see how it is done on the Art Trail. The flax does different things depending on how it is processed and this is an endless source of fascination and inspiration to me about this medium". With muka she has created shoulder cloaks, wall hangings, flax skirts, jewellery and is inspired to keep on finding new things to make. At the `Woven Together exhibition` at the Quarry Arts Centre in June 2016, as an emerging artist she was thrilled to hear it was one of the best selling exhibitions they have had! Soon she will be celebrating the anniversary of the launch of her Facebook page AllFlax and finds it is a great way to keep fans in touch with what she is currently doing. At the trail you can expect to find some of her traditional pieces but also her one off special pieces she is becoming well know for. Having an audience that appreciates artistic expression is a huge motivation for me to come up with something new that I have never seen done before, I love the Art Trail and can't wait to be there again in 2019.